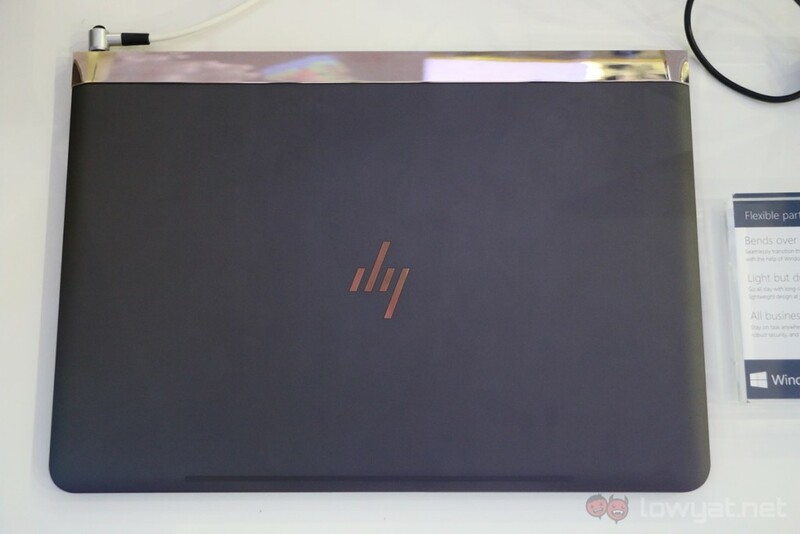 Finding the perfect productivity laptop has always been something of a mission for me, and it hasn’t exactly been easy: there are many things that need to be done right for a laptop to be truly good and reliable. 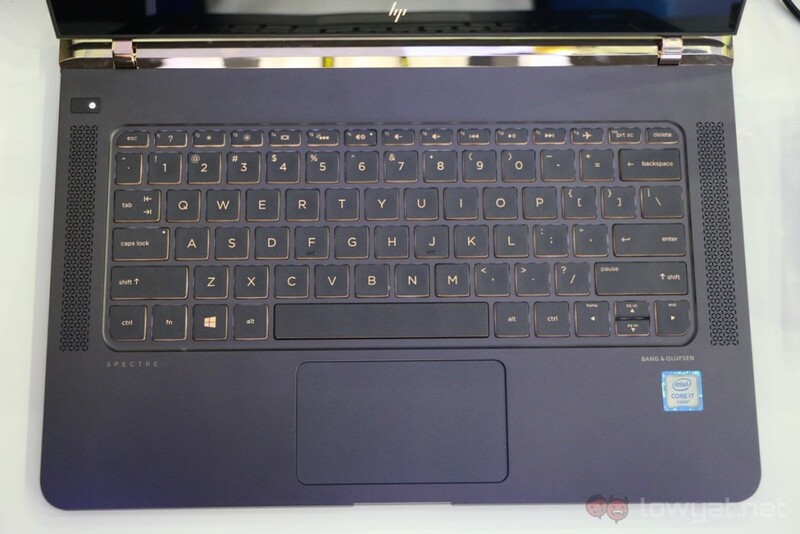 The keyboard has to be comfortable to type on, the trackpad accurate, and a slew of other factors that are harder to gauge without spending some time with said laptop, such as battery life and user experience. 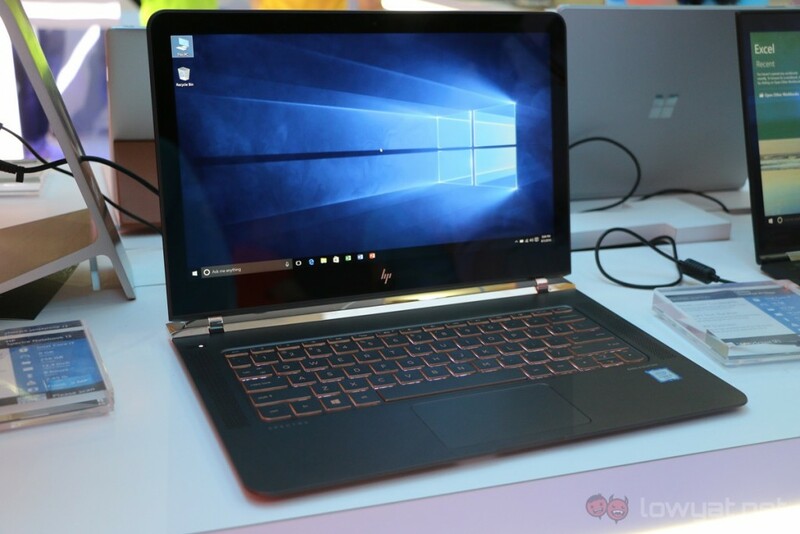 At Computex 2016, I stumbled upon HP’s latest ultrabook, the HP Spectre, at Microsoft’s booth. So I whipped out my camera, spent some time fiddling with the laptop, and I thought to myself: my quest for the ultimate productivity laptop may have come to an end. 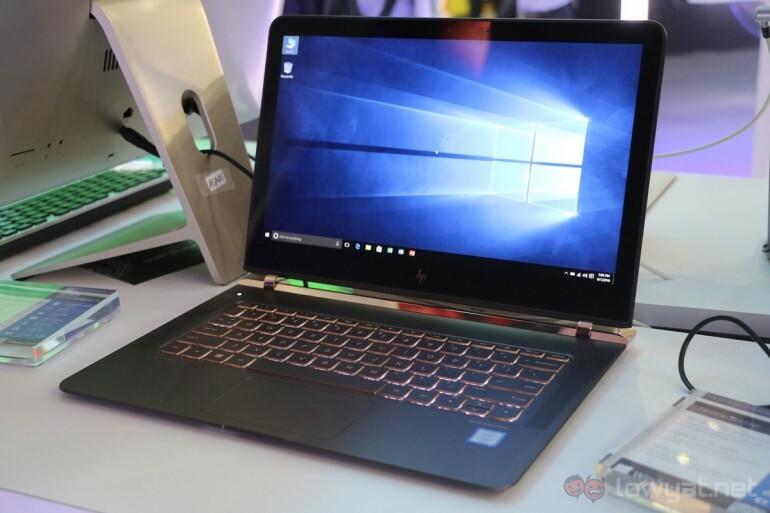 Touted as the world’s thinnest laptop at only a mere 10.4mm, the HP Spectre feels very robust despite its razor thin chassis. What’s even more impressive is the fact that HP has managed to pack a capable Intel Core i processor into this ultrabook; most manufacturers would have opted for a low-power Core m chip instead, which only requires passive cooling. However, although the Spectre is very thin, it’s not the lightest ultrabook in the market at 1.1kg; this still puts it as one of the lightest Windows laptops out there. 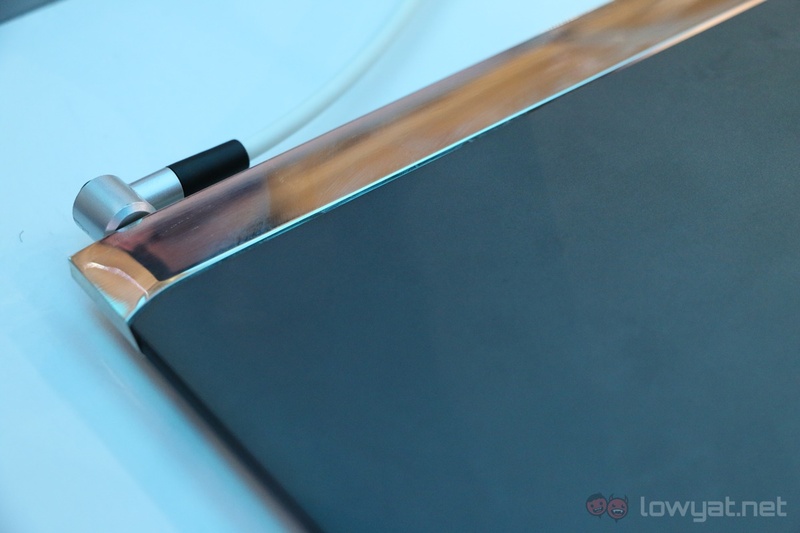 Other specifications of the Spectre include a 13.3-inch 1080p IPS display, up to 8GB of RAM and 512GB of fast PCIe SSD, as well as three USB Type-C ports. 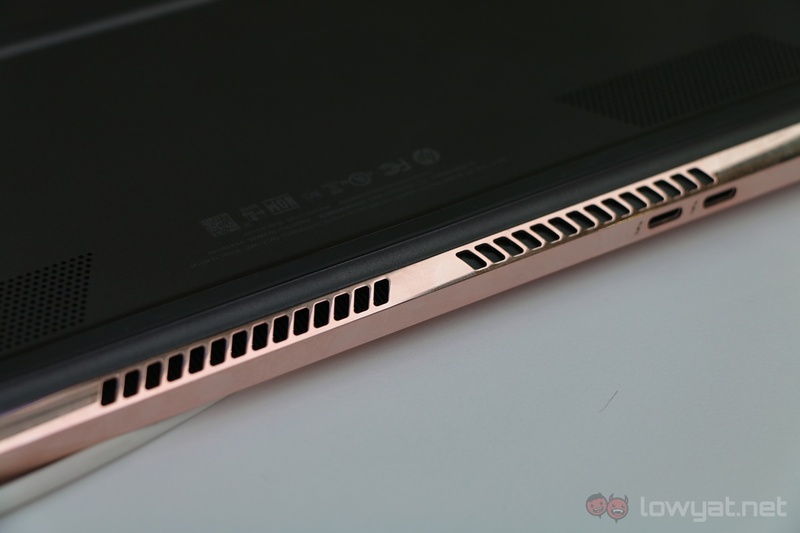 This is quite a significant feature, considering that even the 12-inch MacBook and Asus ZenBook 3 – two equally slim and light machines – do not offer these many ports. So the HP Spectre offers more ports and capable specifications for a 10.4mm thin laptop, but how does it feel like to use it? 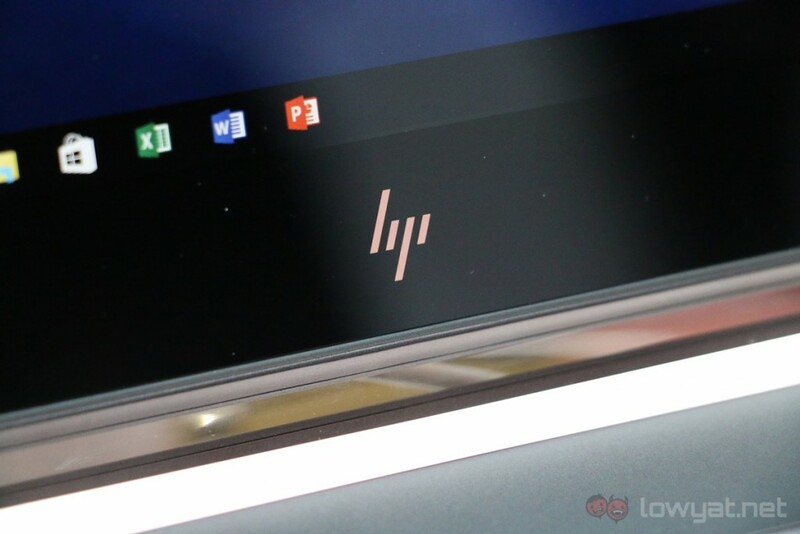 Quite simply…it’s one of the most refined and premium Windows ultrabook I have ever tried. One of the first things that is sacrificed on a thin laptop is the keyboard, and to my surprise, the Spectre is quite comfortable to type on. 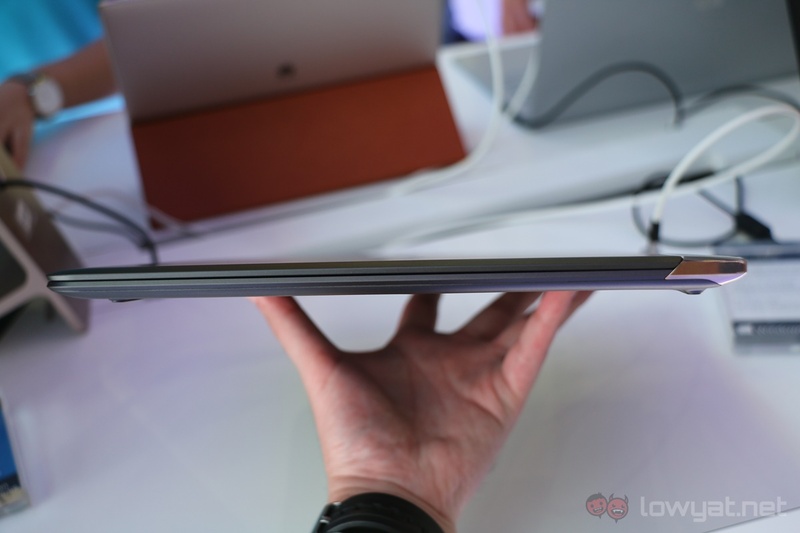 To put things into perspective, the keyboards of the 12-inch MacBook and ZenBook 3 offer little to no travel, but the Spectre has enough key travel to “feel” like a normal laptop keyboard – this is despite the fact that it is thinner than the former two machines. Of course, the key travel isn’t very long, but it is the tactility of the keys that I really, really like: it is reminiscent of Cherry MX Blue switches, to a certain extent. 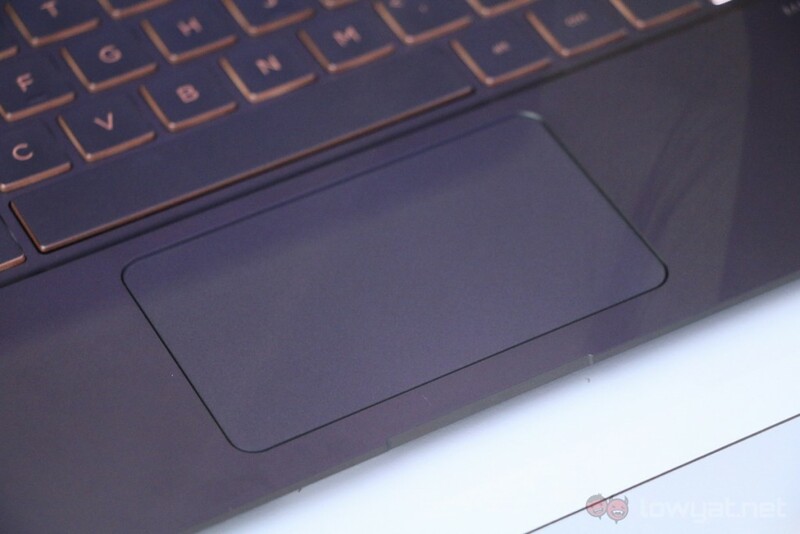 And then we have the trackpad of the HP Spectre. My fingers can glide on the glass trackpad smoothly, it tracks my fingers accurately, and it doesn’t require too much pressure to register a click. I can’t remember the last time I was this impressed with the trackpad of a Windows laptop; the HP Spectre is the closest laptop I’ve tried to being as good as the MacBooks’ excellent trackpad. 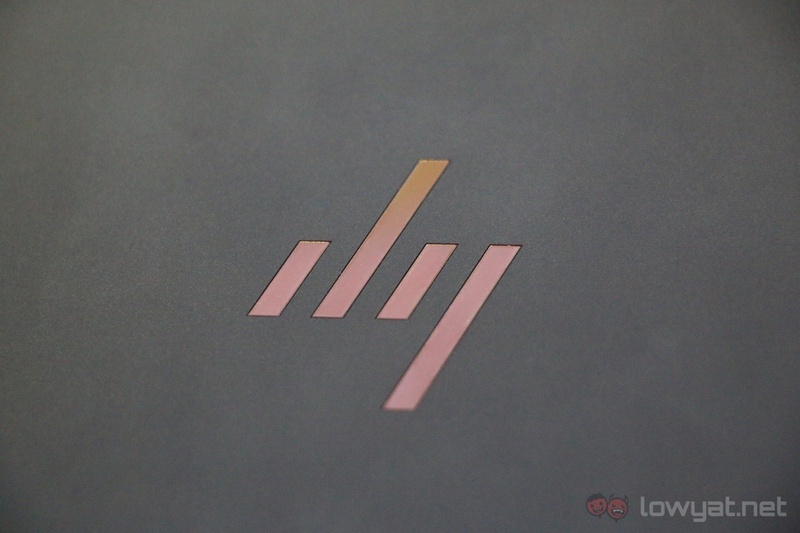 While the HP Spectre definitely impressed me, there are certain aspects of the ultrabook that held it back from being my go-to productivity laptop. For one, it only has USB Type-C ports. Although there are as many as three of them on the Spectre, full-sized USB ports – and maybe an SD card slot as well – are still needed by consumers today. Resorting to adapters isn’t exactly an ideal solution – I’m especially not fond of them after my experience with the 12-inch MacBook. 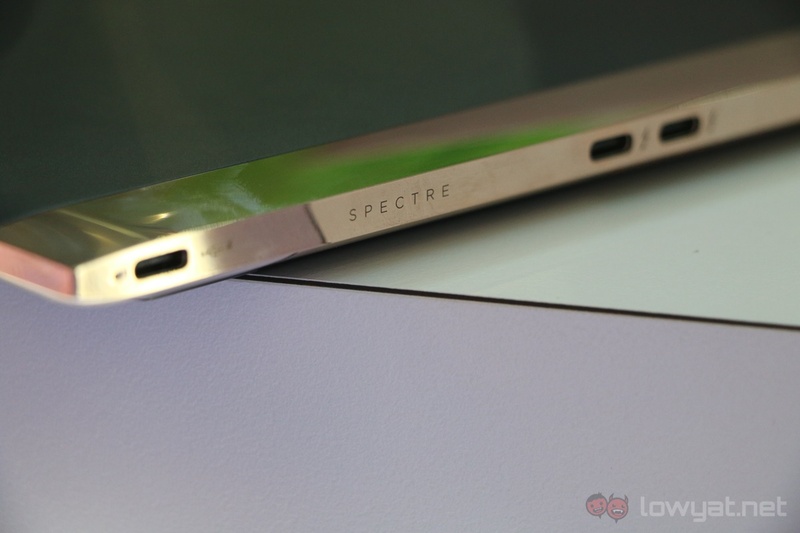 Other than that, a touchscreen would’ve been an excellent feature to have on the Spectre. When I was using the laptop, I found myself constantly reaching out to the display as if it was a touchscreen. Windows 10 was built with touch in mind, so it would make a lot of sense to include a touch display on the Spectre. 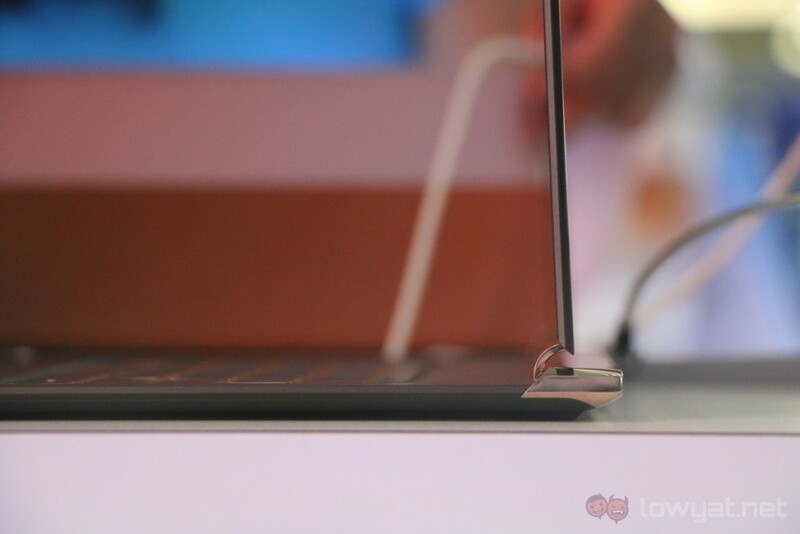 I’m not a fan of the chrome finish of the laptop’s hinge as well: it’s quite the fingerprint magnet. 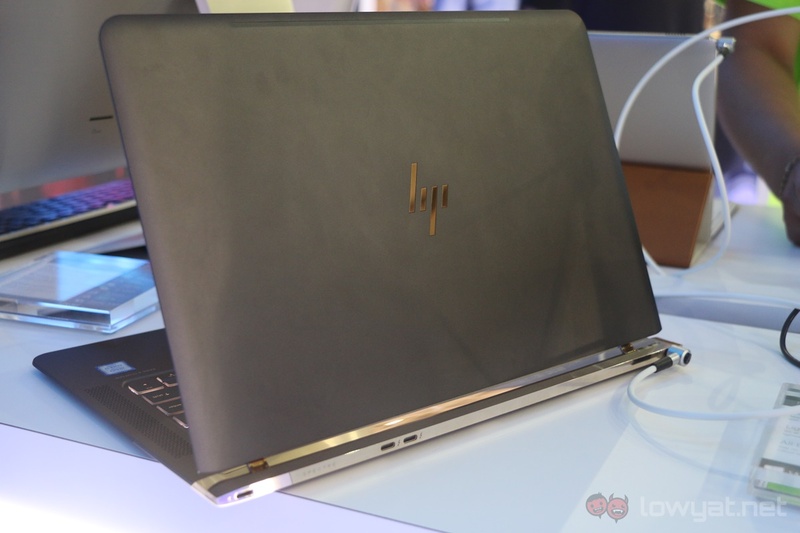 The HP Spectre came really close to being the perfect Windows ultrabook. 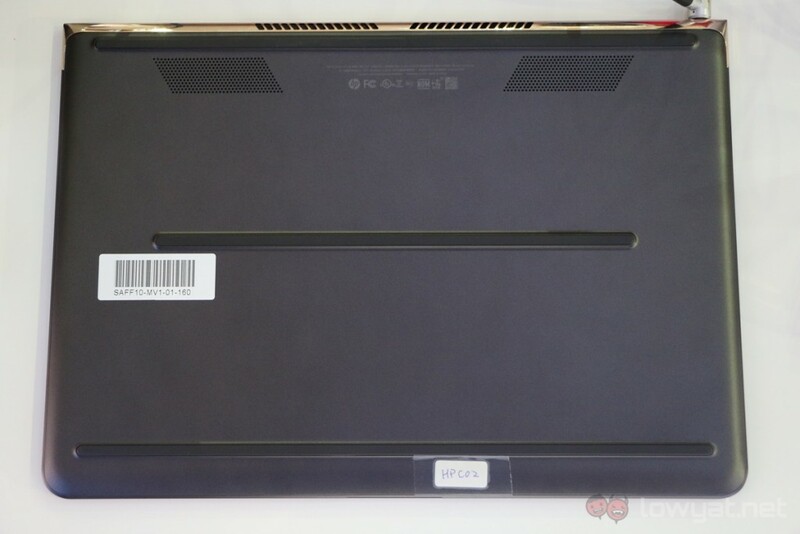 However, there are still other aspects of the laptop that are not known yet, such as battery life, audio quality, and any issue with heat, especially on such a thin laptop. For now, my concerns lie in the ports of the Spectre; the lack of a touchscreen doesn’t bother me quite as much. 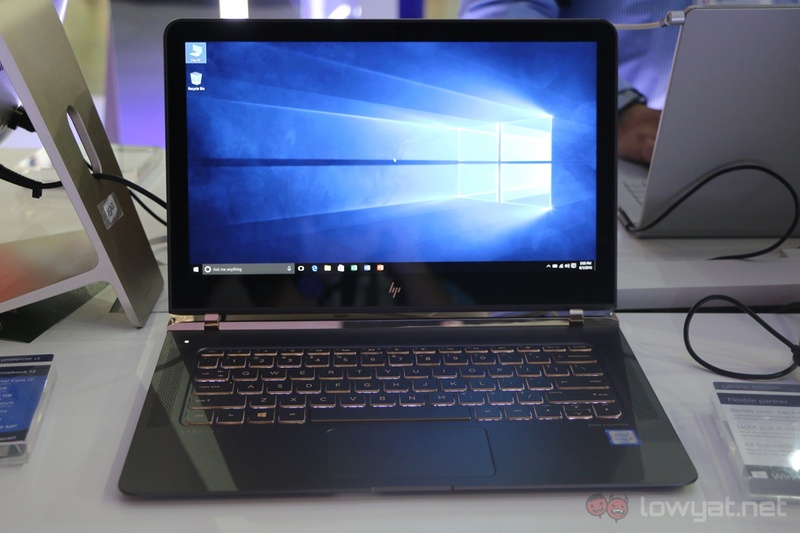 I’m eager to use the HP Spectre as my daily driver to see how it holds up: it is potentially the most refined Windows ultrabook yet. Although HP has not announced the availability and pricing of the Spectre in Malaysia yet, there’s a good chance it will arrive here eventually.